Welcome to A Sampling Bee! 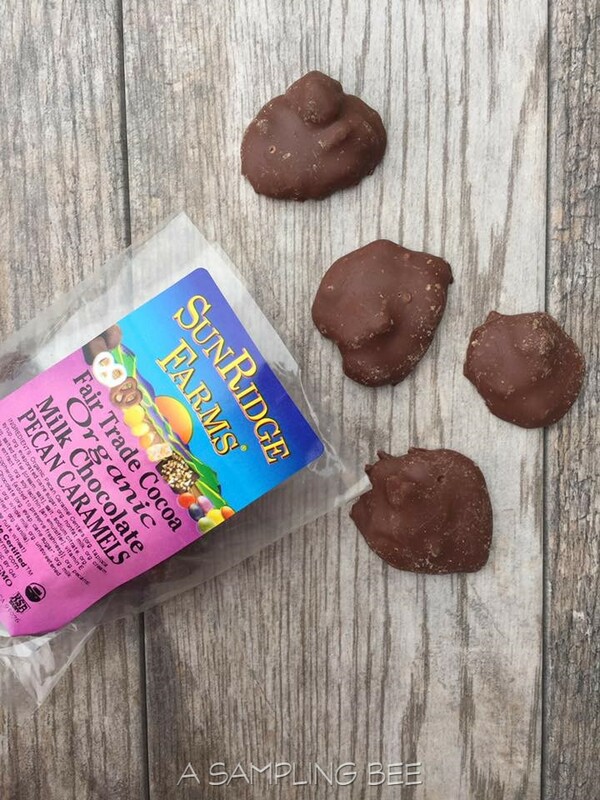 Today, I share with you yummy products from Sunridge Farms™! Sunridge Farms'™ foods are all natural and organic. Their mission is to provide the healthiest products to their customers by producing foods without highly processed or refined ingredients. Sunridge Farms uses only non-GMO ingredients. They are committed to supporting organic farming as well as supporting our planet. Sunridge Farms™ has been in business for over 30 years and is a family-owned business. 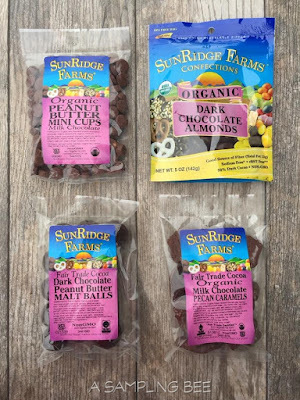 Over the years, the SunRidge Farms™ name has become one of the most widely recognized and trusted names for organic and all natural nuts & seeds, dried fruit, candies, and snacks & trail mixes. 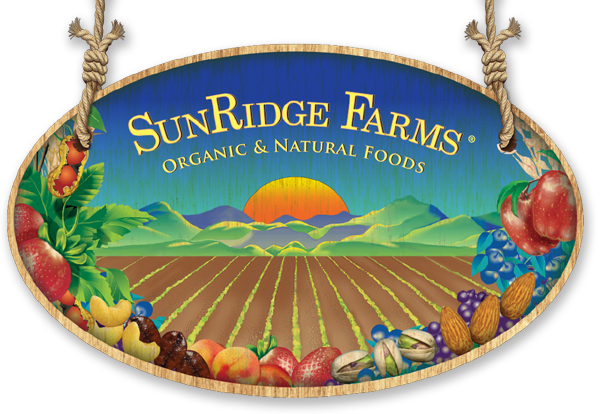 Sunridge Farms™ has hundreds of products. Their product line includes items such as candies, flour, baking goods, trail mixes, dried fruit, pastas, sweeteners, etc. Just to name a few. :) Each and every one of their nut products is free of additives, artificial flavors, and preservatives. The certified organic and natural cranberries, apricots, mango, pineapple, papaya, crystallized ginger, raisins, and more offer the natural sweetness that only Mother Nature can provide. And, SunRidge Farms’™ tropical fruits are guaranteed to have no added sulphites, and do not contain hydrogenated oils, artificial flavors, colors, or preservatives. 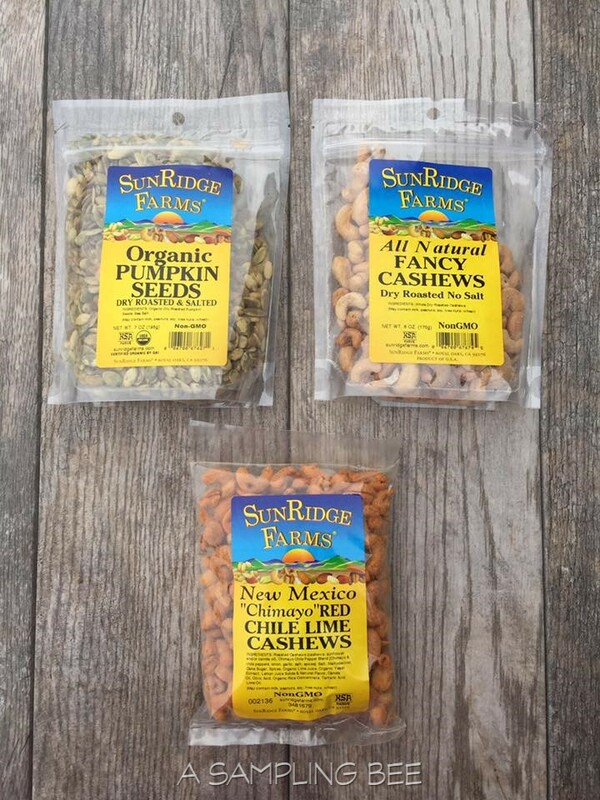 I never knew that Sunridge Farms™ carries so many awesome products! I got to sample their Milk Chocolate Pecan Turtles, Dark Chocolate Peanut Butter Malt Balls, Heavenly Cranberry Crunch Trail Mix, Chile Lime Cashews, Pumpkin Seeds, Cashews, Caramel Toffee Nut Crunch, Supreme Fruit & Nut Mix, Berries & Chocolate Antioxidant Mix, Maple Pistachio Coconut Cranberry Crunch, Peanut Butter Mini Cups and Dark Chocolate Almonds. I love taking their trail mixes on road trips! 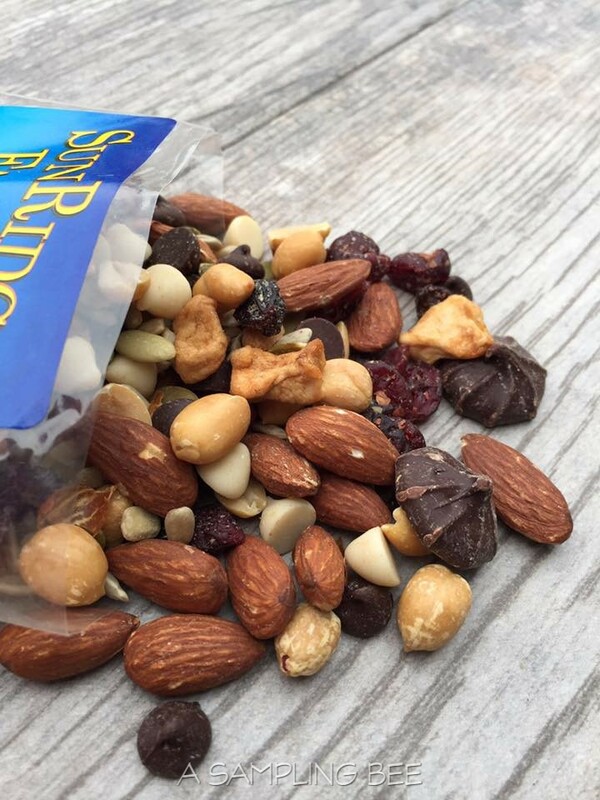 Their trail mixes contain so many healthy ingredients. Perfect for hiking and camping, too. May favorite trail mix is the Caramel Toffee Nut Crunch! Sunridge Farms™ has many different trail mixes available. There is a trail mix for everyone! 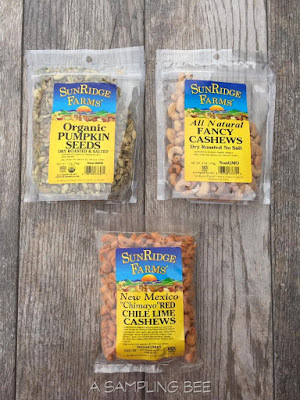 Sunridge Farms'™ cashews and pumpkin seeds are great! I like them because they have the perfect amount of salt. The Chile Lime Cashews are to die for! Yum! Sunridge Farms'™ Peanut Butter Mini Cups are perfect for baking. They're small and can easily be baked into a banana bread or muffins. 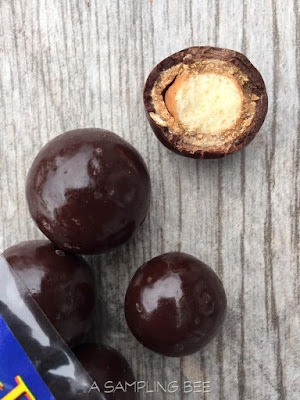 The Dark Chocolate Almonds are great for snacking on. Pecan Turtles are my favorite and the Peanut Butter Malt Balls?? OMG! Amazing! All-in-all, Sunridge Farms™ has amazing products. The nuts are great, the fruits are great and the chocolates are great. I can definitely say that they are committed to making good, healthy products for their consumers. I highly recommend Sunridge Farms™. Out of all of the products that I got to try, my favorite is the Caramel Toffee Nut Crunch. For more information, visit https://sunridgefarms.com/. 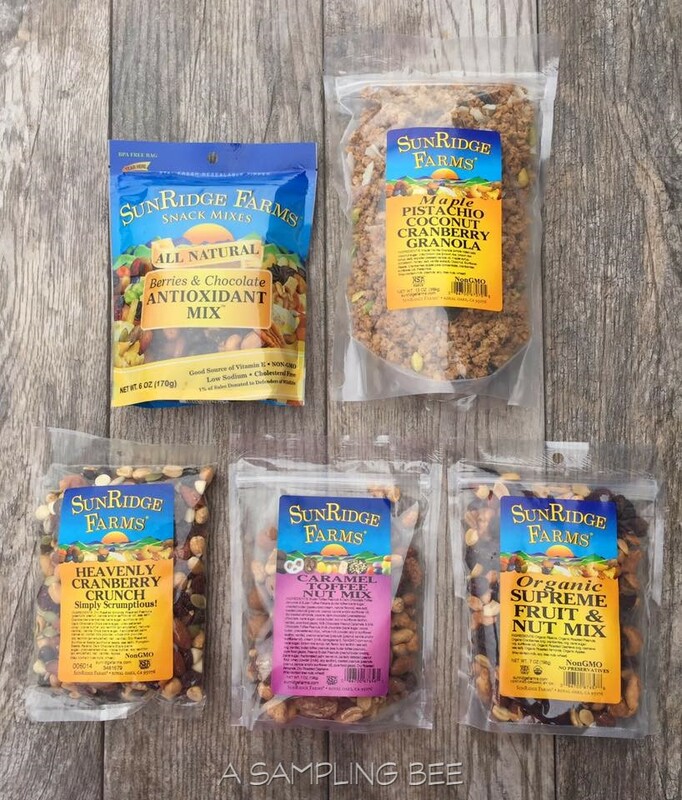 Sunridge Farms' products can be found, in bulk, at your local health food store(s). 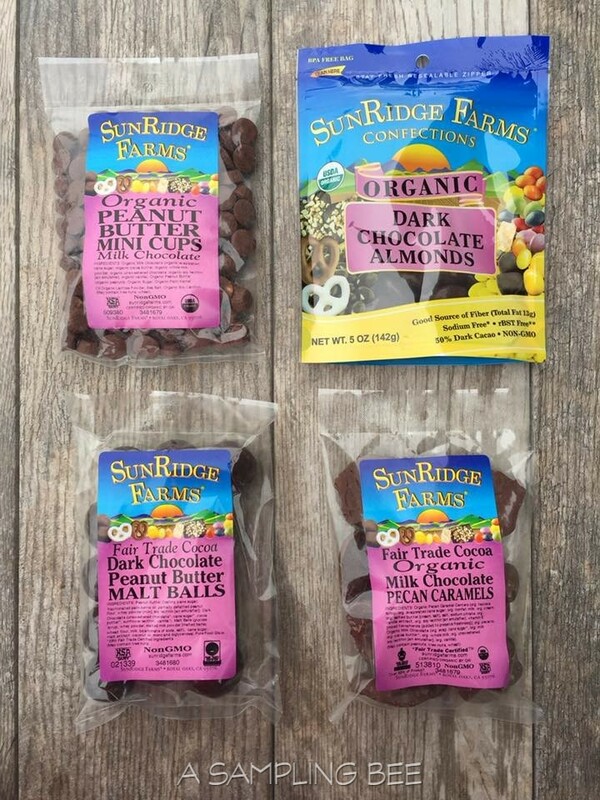 I received Sunridge Farms™ products in exchange for my honest review. All opinions are my own. Always! I love trail mix as an everyday snack that fills me up with protein and healthy fats! Thanks for sharing these products, I can't wait to try them! I bet it taste good because organic foods are rich in natural nutrients and vitamins. I would love to try the nut mix or chocolate almonds.